Gorgeous family home nestled on a spacious block with huge backyard has endless possibilities. This 1960s 3 bedroom 1 bathroom character home is solid enough to be lived in or rented out before you make your next move. 799sqm (approx.) and R40 Zoning allows for triplex subdivision potential. 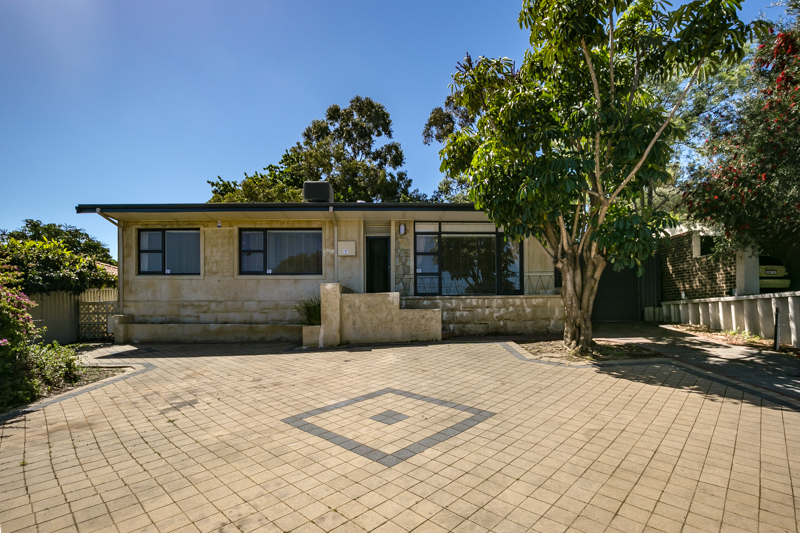 Surprising you with its privacy from the main road, the generous front courtyard offers ample driveway parking space - preceding the single lock-up carport. Inside, charming Jarrah timber floorboards warm most of the rooms, including a huge front lounge and dining room. A tiled kitchen leaves enough room for meals or sitting and boasts quality tap fittings, a Fisher and Paykel five-burner gas cook top, a separate stainless-steel Westinghouse oven, double sinks and tiled splashbacks. This part of the house also extends outdoors to a tranquil rear patio entertaining area and paved north-facing courtyard, both overlooked by a leafy and shady two-tiered backyard where the future potential is clearly visible. An ultra-convenient location where a bus stop sits just metres away from your front doorstep and both Melville Senior High School and the local Woolworths supermarket can be walked to in a matter of minutes. This really is a secure investment! Ideally suited for First Home Buyers , Investors and Families wanting to move into this fantastic suburb. Your choice whether to live in , rent out or redevelop.